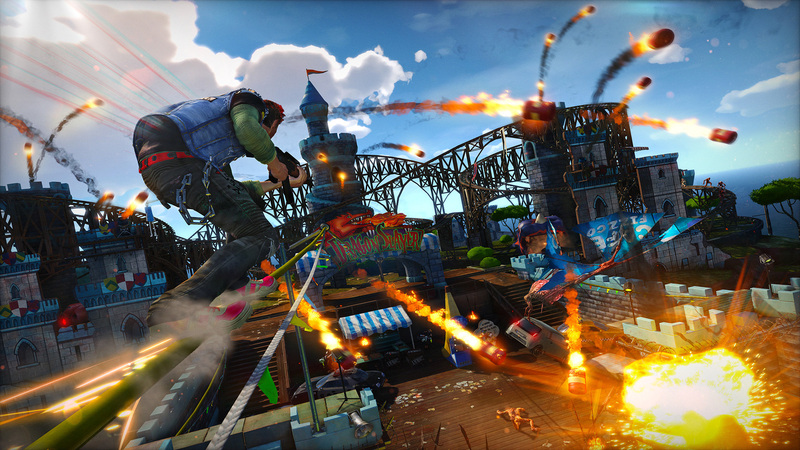 Major Nelson has a posted a new video on Sunset Overdrive’s Chaos Squad mulitplayer mode. Chaos Squad is an eight player co-op mode that lets players choose their experience by voting on what missions to complete. The last mission of a Chaos Squad session is a Night Defense mission. Night Defense missions are basically tower defense missions that take place at night. The players are given a set amount of time to set up defensive traps and then waves of enemies attack. The players must work together to stop all of the monsters from breaking through like any other tower defense game. One thing to note is that all the power-ups and weapons that you have acquired during your single player experience you can take online and vice versa. This gives the gamers a sense of accomplishment so that when they earn awesome items while playing during Chaos Squad they can be used during their own single player experience. Of course the difficulty of the levels scale based on which missions you choose. Night Defense was the mode that was being featured during E3. Gamers were given a chance to play the eight player co-op mode live on the E3 floor. You can check out our video below if you would like to see some footage that we have captured of Sunset Overdrive during E3.